With the holidays comes many reject gifts, like automatic pet petters or tablet arm holders. But the Generation Web elves have a holiday gift for you I think you’re going to like. If anything, it beats getting a fruit cake. No need to tear frantically at imaginary wrapping paper. 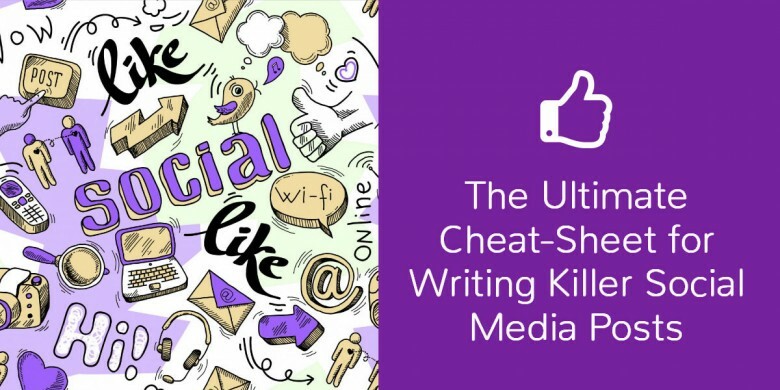 Just scroll down and you’ll see that we’ve created the ultimate cheat sheet for writing killer, engagement-driving social media posts. We saw to it that there are more tips than you can shake a candy cane at, so I think this gift might be a keeper. If you love it as much as I think you will, you can download it below. There’s no sign-up required and no catch. It’s just Generation Web’s gift to you. Period. Not sure what to post on your social media pages? Here’s a solid list of ideas that will help keep your editorial calendar full and engagement high. If you don’t know the answer, it will be hard to write a post people get fired up about. So it always pays to take the time to identify the things that might motivate your audience to read or care about the content you’re putting out. For instance, does it contain information that might help your audience save money? Does it provide information that might give them a leg-up over their competitors? Or will they learn something valuable that they didn’t know before? Make the benefits of checking out your content clear. Sign up for our exclusive…. Check out this infographic we put together for you on…..
Read our latest blog post for awesome tips on…..
Share this inspiring quote with colleagues and employees. Please retweet this. (Or if you don’t have enough characters use: Retweet this. Also note that studies show that using RT – acronym for retweet – is less effective. Fill in the blank: The thing I love most about…….. is ______. Which do you prefer? ______ or ______ ? In your opinion, what’s the best…..? What’s your biggest question about _______? Our experts will be happy to answer it. A surefire way to kill engagement (and organic Facebook reach) is to come off as overly promotional. No one is on social media to be sold to, so you have to make them feel like you’re not doing that… even though you are. That doesn’t mean you can’t talk about your latest product or put out a special offer. It just means that like any social interaction, you have to be tactful in how you go about it. Does this post sound as though it’s solely serving to promote a product or service? If yes, then edit / rewrite the post. Does this post do one of the following? If not, then edit / rewrite the post. Keep Facebook and LinkedIn posts as short as possible. According to studies, the ideal length is 40 – 80 characters. Use a link shortener such as bit.ly.com. Use contractions as much as possible, e.g. would not becomes wouldn’t. But be sure not to cram too many substitutes in one tweet. It doesn’t look good and may be confusing to read. Still have questions on how to write social media posts well? Please click here to contact me. Awesome info. Useful for my team. As usual, thanks for sharing!! Great to hear Tom! Thanks for the feedback.